An old piano sits by a window in the corner of a tiny room in Seiji Ozawa’s office in Tokyo’s Seijo neighborhood. The 82-year-old conductor’s father apparently bought it for him more than 70 years ago. 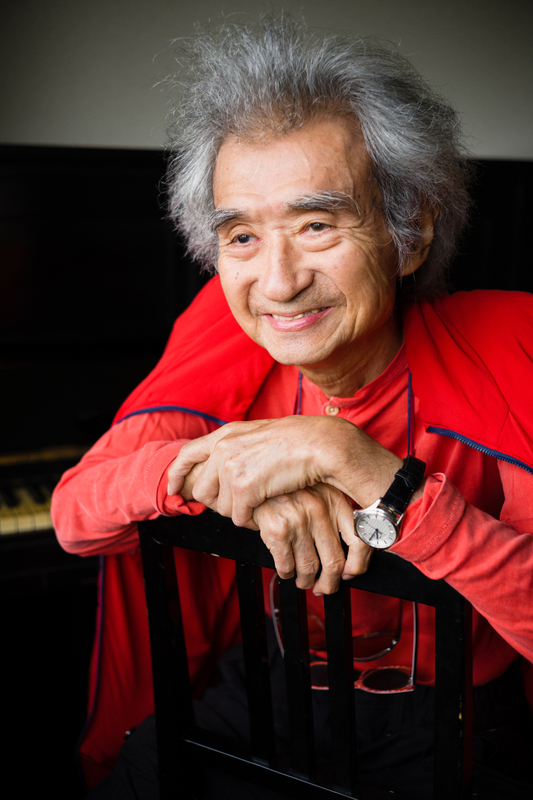 Upon entering the office for our interview, Ozawa sits on a chair next to the piano as per the photographer’s request. Once the portraits are shot, it’s time for the interview but — to everyone’s surprise — he begins playing the piano. As a longtime fan of classical music, witnessing such an intimate private moment is particularly memorable. Yamamoto, a composer and conductor who passed away in 2002, studied music with Ozawa under the tutelage of conductor Hideo Saito (1902-74), a teacher who devoted the latter half of his own life to music education in Japan and was hugely influential on Ozawa. Yamamoto later ended up hosting a popular TV show on TBS from Oct. 1, 1972, to March 27, 1983, titled “Okesutora ga Yatte Kita” (loosely rendered as “The Orchestra Has Arrived” in English), in which he presented classical music in a broadly accessible way. 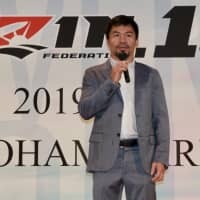 “Yamamoto once told me, ‘I’ll stay in Japan and broaden the audience base here. You go abroad and reach the top levels of world-class music,” Ozawa recalls. Anyone familiar with Ozawa’s career would understand that he has certainly fulfilled his end of the pact. However, Ozawa hasn’t just made his mark as one of the country’s most celebrated conductors abroad. 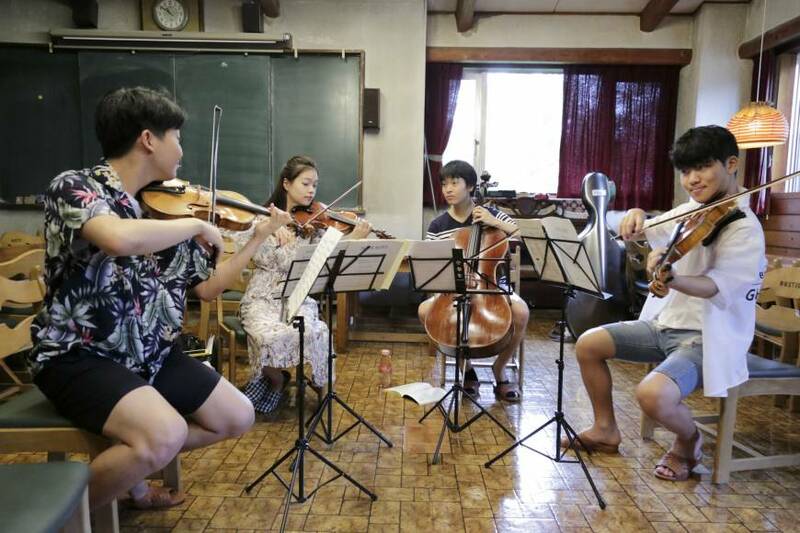 As a man with outstanding accomplishments — just under 30 years as music director for the Boston Symphony Orchestra and the establishment of a long-running classical music festival in Matsumoto, Nagano Prefecture, among them — he now seems devoted to passing on his knowledge to a new generation of aspiring musicians. Before teaching, Ozawa was, of course, himself a student. Two years after graduating from the Toho Gakuen School of Music in Tokyo in 1957, the young musician boarded a ship for Europe to gain overseas experience. He ended up taking part in the International Competition of Orchestra Conductors in Besancon, France, and came in first place, which led to further study under such luminaries as Austrian conductor Herbert von Karajan (1908-89) and U.S. conductor and composer Leonard Bernstein (1918-90). 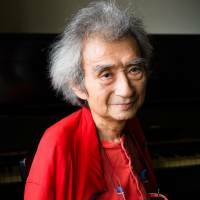 In large part, Ozawa worked with American orchestras, including the New York Philharmonic, the San Francisco Symphony and, finally, during his stint at the Boston Symphony Orchestra (BSO). He has also conducted top-level European orchestras as a guest, including the Berlin Philharmonic and the Vienna Philharmonic. From 2002 to 2010, he served as the music director for the Vienna State Opera. However, one of the most influential experiences he had overseas came at the Tanglewood Music Festival, which features educational programs for young musicians as well as a wide variety of performances and is held annually in western Massachusetts’ Berkshire Hills region. The Tanglewood venue has hosted the BSO every summer since 1937, and Ozawa took part in the festival in 1960. It was his first competition in the United States and, at 25, he won the Koussevitzky Prize for outstanding student conductor, Tanglewood’s highest honor. He would later return to the festival as its music director. “Without doubt, Tanglewood had a strong impact on Ozawa’s career,” says Mark Volpe, the current managing director of the BSO, adding that he can see Tanglewood’s influence on the Saito Kinen Festival. Nestled in greenery and within sight of the Japanese Alps, the Saito Kinen Festival Matsumoto was established in 1992 and named in memory of Ozawa’s aforementioned teacher. In 2015, the event was renamed the Seiji Ozawa Matsumoto Festival and still serves as a showcase for the Saito Kinen Orchestra (“kinen” means “memorial” in Japanese). The annual festival hosts high-quality orchestral concerts and opera to a wide range of people, including children. 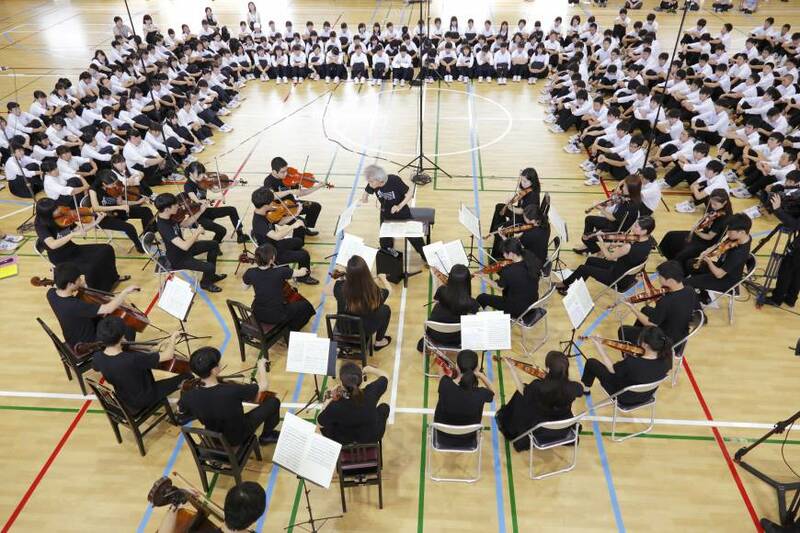 It also serves as a showcase for the young musicians of the Seiji Ozawa Music Academy (formerly Seiji Ozawa Ongaku-juku), providing them with opportunities to perform alongside some of the world’s best musicians. 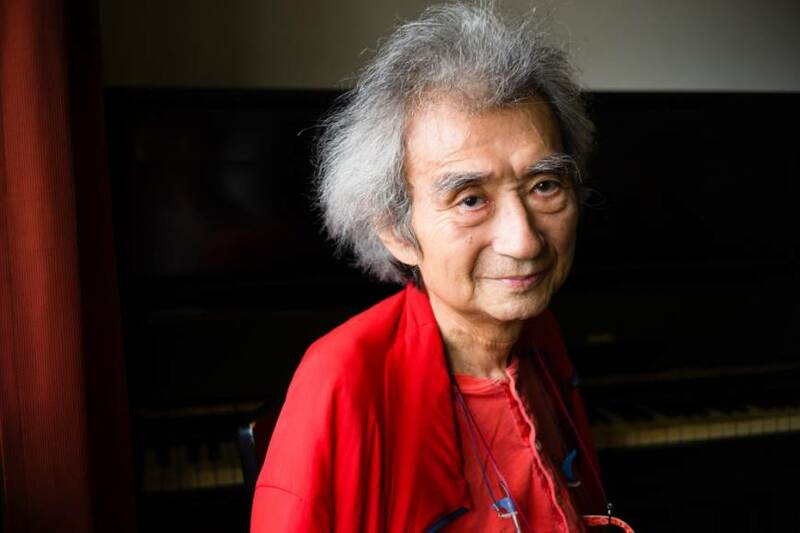 It was through the Matsumoto festival that Ozawa also came to establish the Seiji Ozawa International Academy Switzerland, and a seminar in Japan that developed into the Ozawa International Chamber Music Academy Okushiga, which is open to Asian musicians. 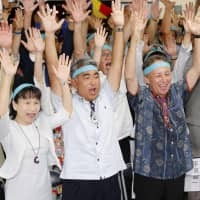 It’s Sunday, July 30, and the students of Yamanouchi Junior High School in the Okushiga area of Nagano Prefecture have gathered in their school gymnasium. They’re getting an up-close look at the performance Ozawa has been working on with the chamber music academy. The musicians file into the venue and are met with hearty applause. One student stands and reads a speech welcoming Ozawa and the members of his music academy to the school. They perform two short pieces: the third movement of Beethoven’s string quartet No. 16, which Ozawa introduces as a piece in which the German composer said his goodbyes to the world, and the first movement of Tchaikovsky’s “Serenade for Strings” in C major, one of the Saito Kinen Orchestra’s specialties. Despite some apparent frailty due to illness and his advanced age, Ozawa puts everything he can into conducting. He makes eye contact with each musician at the appropriate times, twisting his hands into subtle gestures that capture the nuance of the score. As the movement progresses, he occasionally stands up from the stool that has been placed at the center of the orchestra to support him and leads the ensemble toward an increasingly powerful climax. The Yamanouchi students give a lovely choral performance in return, which the visiting performers reward with their own warm round of applause. “It’s great that amateur students and those aspiring to be professionals are able to share in this musical exchange,” Ozawa says. It seems at times that children in Nagano Prefecture get special treatment when it comes to learning music from a bona fide maestro, but this is all down to geography. 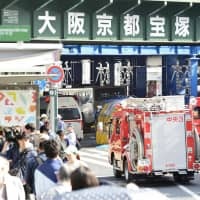 The relationship Yamanouchi Junior High has with Ozawa stretches back to 1986, prior to the establishment of the Saito Kinen festival. In those days, Ozawa’s own children — essayist Seira Ozawa and actor Yukiyoshi Ozawa — took part in skiing lessons in this area as part of their school curriculum. The conductor, who loved skiing himself, joined his children and eventually built a cottage in the area, and that helped to establish close ties to the local school. One room at the Yamanouchi Junior High School is completely dedicated to Ozawa’s history with the institution and is filled with memorabilia. “At the first concert at Yamanouchi Junior High School around 30 years ago, the students didn’t listen at all,” Ozawa recalls. “Some naughty boys even shot small paper balls at us with handmade slingshots.” He was about to give up, but some friends told him he should keep trying. 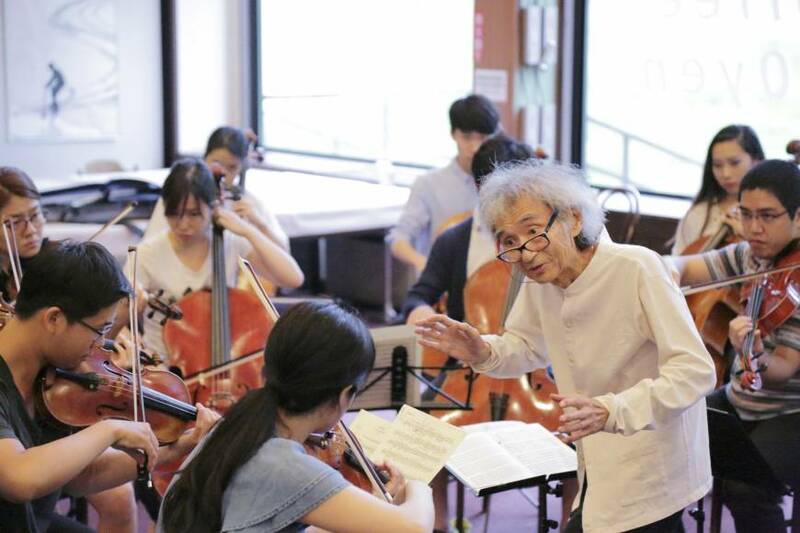 Ozawa has long been interested in introducing classical music to wider parts of the country. Following a suggestion by Russian cellist Mstislav Rostropovich (1927-2007), Ozawa organized a series of caravan concerts in Gifu (1989), Nagano (1993), Niigata (2002) and Iwate (2005) prefectures, leading a young string ensemble during performances in rural areas free of charge. Writing in his 2014 book “Owaranai Ongaku” (“Never-ending Music”), the maestro recalls how captivated his audiences were by the performances, with some even moved to tears. He believes his annual concerts with students in Nagano Prefecture have the same potential. 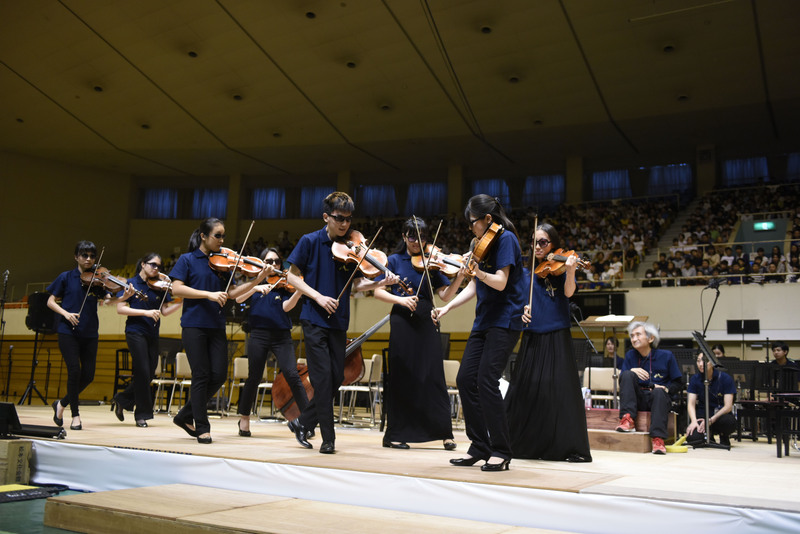 On Sept. 1, about 10,000 students from 184 elementary schools from around Nagano Prefecture attended the Concert for Children at the Matsumoto Municipal Gymnasium as part of the Seiji Ozawa Matsumoto Festival 2017. The concert is held on Sept. 1 every year — the day of Ozawa’s birthday. “If you’ve never seen an opera before, please raise your foot,” he playfully asks students at the start of the afternoon session. The vast majority of the students raised their feet, a reaction that didn’t appear to surprise the maestro. The concert features an excerpt from a Maurice Ravel opera titled “The Child and the Spells.” A live recording of this piece performed in 2013 by the Saito Kinen Orchestra conducted by Ozawa won the Grammy Award for best opera recording in 2016. Before performing the opera, however, the musicians enter the gymnasium in sections accompanied by arrangements that match the instruments they play. Musicians on clarinets enter playing the theme song from “Super Mario Bros.,” with students on trumpets following playing Disney’s beloved “It’s a Small World.” Violists then up the tempo, entering the venue wearing dark sunglasses and playing the theme song to “Mission: Impossible” before violinists conclude the introductions with a gorgeous prelude from Georges Bizet’s “Carmen” that the rest of the orchestra eventually join. The young audience is enthralled. Sitting on the stage, Ozawa smiles generously. Ozawa recalls how talented his friend Yamamoto was in music dictation during his lessons with Saito. Utilizing such skills, he managed to reach a much larger audience. Over the course of his career, however, Ozawa has also inspired young musicians and a wider range of children on his own. 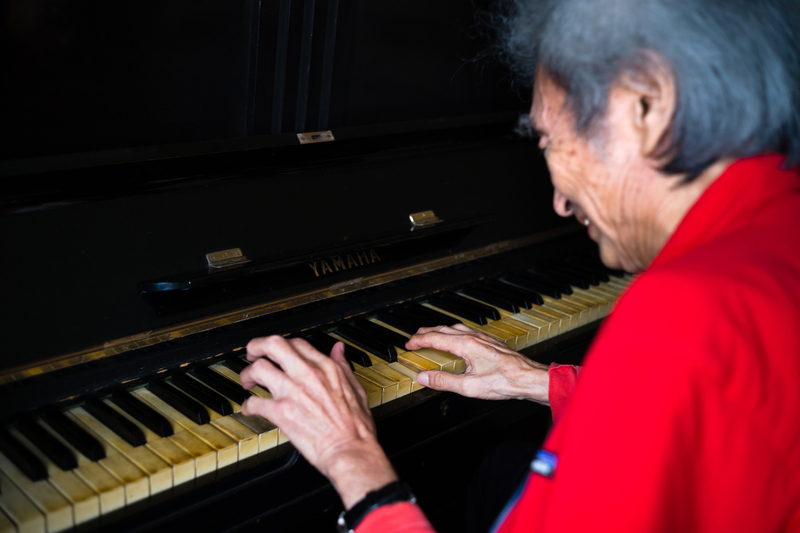 Ozawa and Yamamoto took their careers in very different directions and yet both seem to have ended up on the same mission — a mission to introduce young people to the potential that music has to offer.